Earth, the place we call home. A little planet that is hurtling through space around a star called the Sun with 8 other planets, some big and some small. This is part one of our Earth Fun Facts, we hope you enjoy it! It is estimated that Earth is 4.54 billion years old. To put that in perspective first you have to realize how much a billion of something really is. If you stacked up 1 Billion $1 bills it would reach 67 miles high! Wow! So if every dollar was a year the stack would be 304.18 miles high. 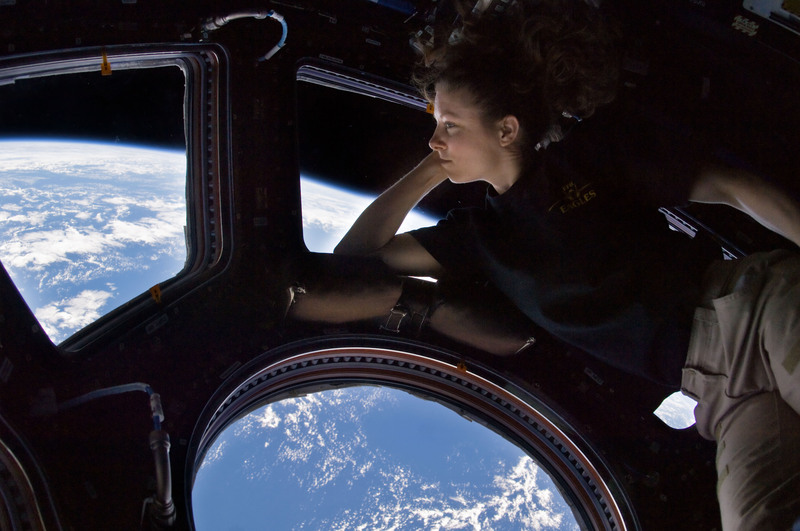 The photo below is Tracy Caldwell Dyson admiring our home from the International Space Station – it orbits at 205 miles high. Earth is what’s called a terrestrial planet. That means it has a solid, rocky surface. Underneath Earth’s solid rocky surface is a core of molten iron. On top of this molten iron there are actually islands of rock called tectonic plates. Sometimes these plants crash into each other and cause earthquakes, and sometimes the molten rock beneath the plates breaks through and creates a volcanoe. Check out the cool video below of what happens when lava meets a carbonated beverage! 70% of the Earth’s surface is covered in water. 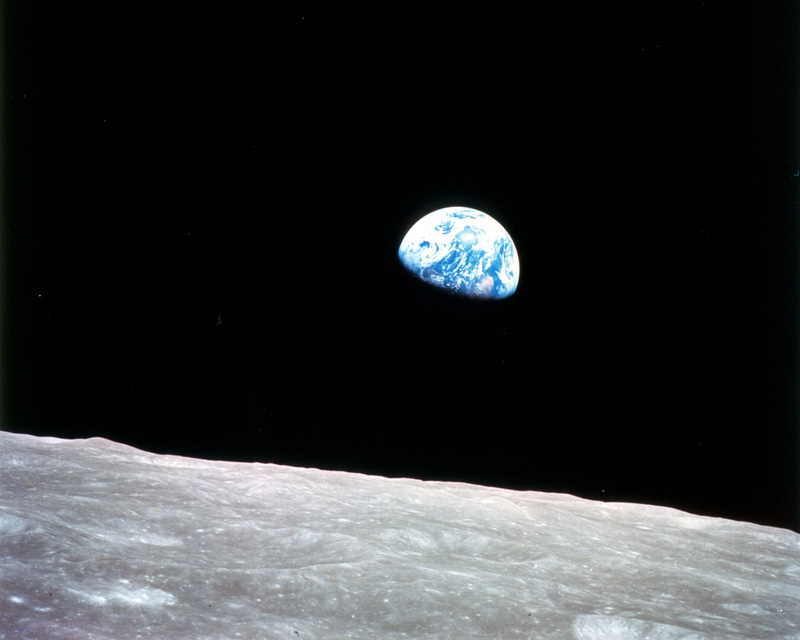 When astronauts first went into space, they looked back at the Earth with human eyes for the first time, and called our home the Blue Planet. The remaining 30% is the solid ground, rising above sea level. The ocean holds 97 percent of the Earth’s water; the remaining three percent is fresh water found in glaciers and ice, below the ground, or in rivers and lakes. Some people make the ocean their playground, in the video below at the 2:50 mark you will see the world record for biggest wave ever surfed as of Oct. 28, 2013. Our friend in the sky, the moon. The moon is the Earth’s natural satellite. The moon is about ⅕ the size of the Earth and it takes 27.3 days to orbit the Earth. As the moon rotates around Earth, it’s gravity tugs on the waters in the oceans and great fresh water lakes. This is what causes the tides of bodies of water around the globe. The photo below was taken from the surface of the moon looking back at the moon from the Apollo 11 mission. Golden retriever gets a little distracted. Will the cat land on it’s feet?